Is Walgreens’ new beer Big Flats any different from Old Style or PBR? Worldwide icon-chevron-right North America icon-chevron-right United States icon-chevron-right Illinois icon-chevron-right Chicago icon-chevron-right Is Walgreens’ new beer Big Flats any different from Old Style or PBR? 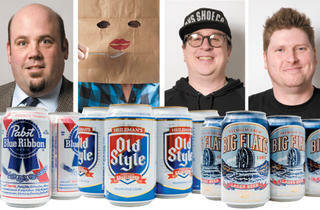 In a blind taste test, Chicago beer experts try to pick Big Flats out of a cheap-beer lineup. The latest so-cheap-why-not-drink-it beer is hitting shelves at an unlikely source: Walgreens. The ubiquitous Deerfield-based drugstore chain has entered the booze market with Big Flats 1901, priced at $2.99 for a sixer. The private-brand lager—made by the Winery Exchange, which also does private-label alcohol for Trader Joe’s—has already been mined for laughs by Stephen Colbert. “Big as in the quantity you can buy with the change between your couch cushions,” he said on The Colbert Report. 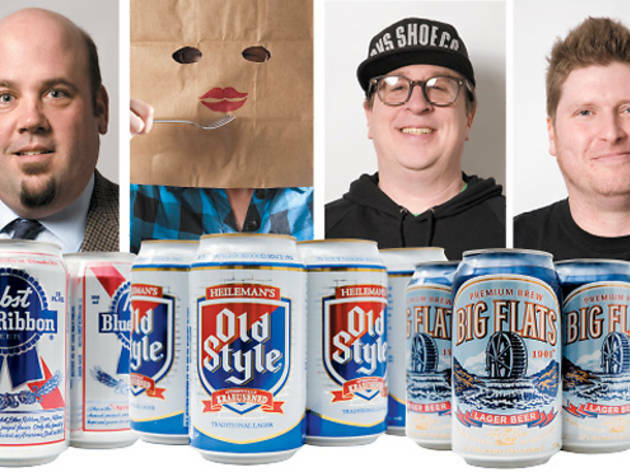 “And Flat for both the taste and the position it’ll put your body in.” But how does Big Flats stack up against très chic value brews Pabst Blue Ribbon and Old Style? A panel of Chicago beer cognoscenti submitted to a blind taste test of the three beers. The conclusion: Big Flats stands tall alongside the hipster faves. Beer Nuts plays Double Door’s St Patrick’s Day show with the Shitkickers and the Crombies March 17 at 8pm. $10–$20.